Today is going to be a really exciting day for Anushka. She has a school picnic and will be taking the Bart to a park with all her classmates. I know she is going to be so happy and excited, she just loves the 'choo choo train'. With all this excitement I couldn't sleep and was up so early, its just 7.00 and I'm done with all my work. A good one hour before Anushka wakes up and just enough time to finish this post. I borrowed this amazing all chocolate book from the library last week and have been drooling at the pictures and reading about chocolate every free minute. Yesterday I got super tempted and got all the ingredients ready for a chocolate mousse. But over whipped cream happened and I had to drop the plan. Then I remembered this recipe that I had bookmarked a couple of days before that called for just the amount of cream I had left. 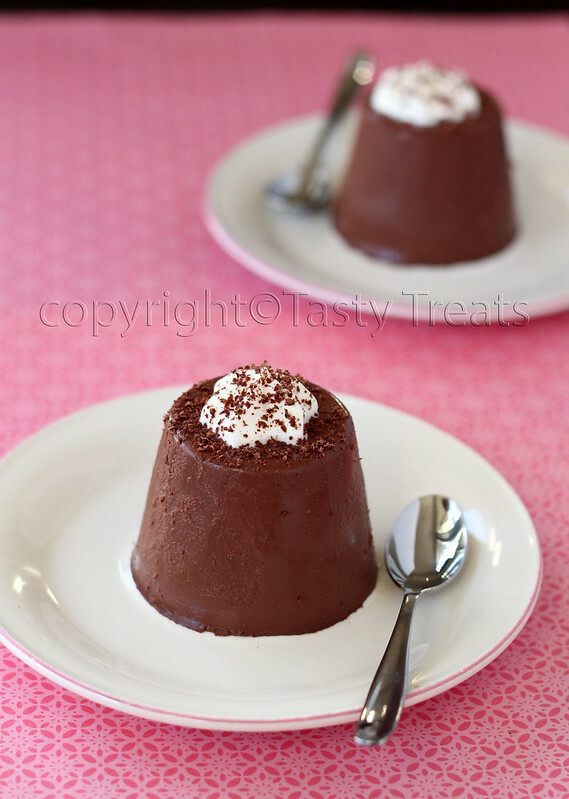 The panna cotta is super chocolaty and makes an amazing quick dessert. I did follow the recipe exactly as given, and what I loved about it is that it uses whole milk instead of cream or half and half and all the sweetness is from the chocolate, there is no extra sugar being added. The recipe is from here. Take the water in a small bowl and sprinkle gelatin evenly over it. Let stand for about 5 mins until softened. Heat the milk, vanilla bean and seeds, softened gelatin and salt over medium heat and bring to a simmer. Remove from heat. Remove the vanilla bean and save for another use. Melt the chocolate over a double boiler making sure no water or steam mixes with the chocolate. Pour the hot milk over the chocolate and carefully emulsify with a hand blender (I added the milk in three batches and just mixed it really well with a spatula and then strained the mixture). Add the cream and stir just to incorporate. Let cool to room temperature and pour into 4 small serving glasses and refrigerate for atleast 4 hours. 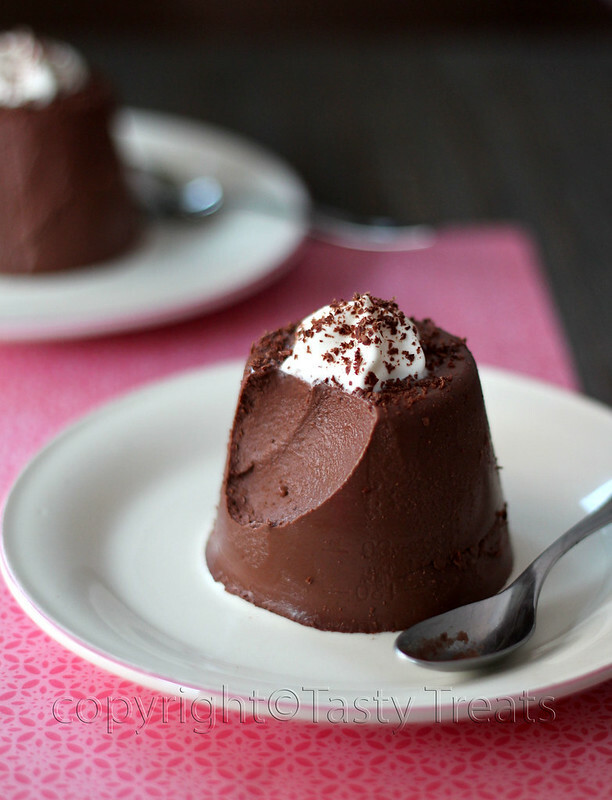 You had me at chocolate panna cotta! Sounds divine and super easy. Looks amazingly soft and delicious. Looks so divine....I can almost feel the chocolate melt in my mouth!! Awesome! hey this sounds nice ...gonna try...just one question...when do u add the gelatine mix to the rest of the ingredients ? You add the gelatin to the milk, sorry about that. Just made the change. panna cotta is looking really chocolaty & delicious. We are vegetarian, where do we find veg gelatin? i love to make this but i hesitate because of gelatin. your looks so tempting. I am also vegetarian and like to know how much agar agar I need to use instead of 1 and half to 2 tsp of gelatin. Omg, very tempting and irresistible pannacotta,looks super smooth and catchy. Looks so amazing, i m definitely making this today!!!! How timely. I was just eating a terrible store bought panna cotta and dreaming of a good chocolate version when I happened to stumble across your blog. This looks like it would've hit the spot. Lovely pics as well! Oh Gosh I am on my 1st day of my workout plan and this tempting panna cotta is making me weak.. Awesome pics.. and thanks for the recipe will try it someday..
Is that 3 OR 4 cups of milk...or 3/4's of a cup of milk?? Ed, its 3/4's of a cup of whole milk! Is that 3 to 4 cups of milk or 3/4's of a cup of milk? I liked the way you have framed and clicked these snapshots. They are gorgeous. Good use of the printed paper. I'm haven't been able to find whole vanilla beans for some reason. Will check out our local health food store but in the meantime would it turn out ok using vanilla extract? Want to make this so bad!! Anna. pure vanilla extract would certainly be fine. Could you use coconut or almond milk instead whole milk?. Could you use coconut or almond milk instead of whole milk?. KellyG, I suppose they should work as the gelatin would set the milk. As long as you like the flavors of the other milks. What did you mold them in? Did you have to spray the mold? 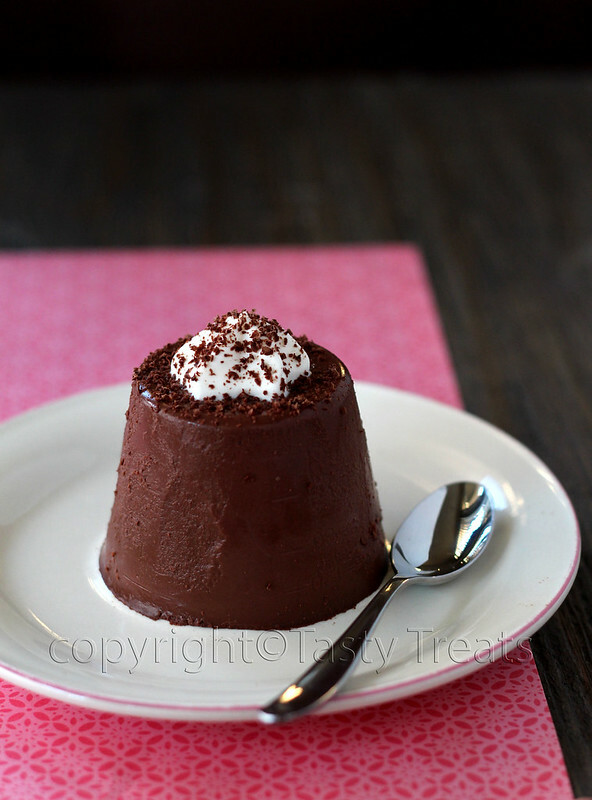 Want to make this along with cassata cake for an Italian themed dinner so would like small like 1/2 normal sized. Thanks! I used small measuring cups for the mold. I did not spray them, had to run a knife along the edges and give it a couple of good pats to get them out. Hope this helps and they turn out good. This looks delicious! Would I be able to substitute the whole milk with heavy cream to give it a creamier texture? Or maybe do half cream, half milk? Would the measurements be the same? Thanks in advance! This looks amazing! Would I be able to substitute the whole milk with heavy cream if I want a really creamy panna cotta? Would the measurements be the same?